It’s been said countless times that working hard and eating right are the two main factors to having a strong, healthy and good-looking body. In this article, we’re going to explore some of the shortcuts you can take to get there, but it’s important to note that no matter what, a healthy diet should be the basis of any sort of supplement use. In other words, if your diet is unhealthy, your priority should be to first introduce yourself to some healthier foods and then go for the supplements if they are needed. 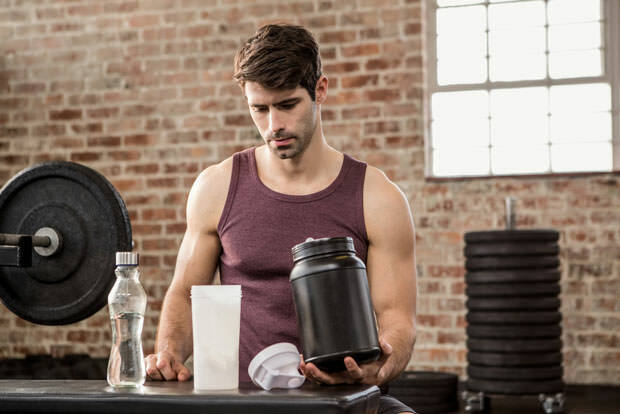 Without further ado, here are the best supplements you should take to maximize the effectiveness of your journey to health, strength, and a fabulous bod. The mother of all protein-based supplements. Extremely popular among bodybuilders and pretty much anyone who’s into weight-training. Because you need 1 gram of protein per lbs of your body weight to build muscle, about 2 daily scoops of whey should be quite enough. It’s easy to consume as well as really cheap – you can get a 10lbs tub for $75 and that will last you 5 months if you use it daily. It’s probably the only protein-based supplement you’ll ever need. Remember all those essential omega-3 fats? This is where to get them from. The benefits of these fats, the only fats that your body cannot synthesize on its own, are reduced inflammation, lower cholesterol, and less soreness. They are also useful in reducing overall body fat. You can seldom hear bodybuilders talking about multivitamins, as they’re not directly related to building muscle. However, these micronutrients are essential in maintaining proper function of your organism, or in other words, giving you physiological strength which is essential for being able to work out properly. These supplements usually include zinc, which helps you achieve a better quality of sleep and is important for letting your muscles heal properly after an intense workout, vitamin C for strengthening your immune system, and calcium and iron for faster recovery. The ultimate muscle-building supplement, creatine is the go-to product for people who want to get big fast. Studies that aimed to prove its harmfulness have been inconclusive, so as far as we know, it’s perfectly safe. It’s the only buff-out supplement you need, period. Just remember to use it in moderation.